Activists expect a larger turnout Saturday, when a flotilla rally is scheduled against the Polar Pioneer’s presence in Seattle. Another big event is planned for Monday near Terminal 5. Paddle-powered activists hit the waters of Elliott Bay in kayaks Thursday to throw an “unwelcome party” for a massive Shell drilling rig as it reached the Port of Seattle. The activists, concerned about oil spills off Alaska and the impact of fossil-fuel consumption on climate change, were accompanied by members of the Duwamish Tribe, who paddled through the waves in a long wooden canoe and led the group in chanted songs. October: Eagle Marine Services decides to relocate; Port of Seattle decides to modernize terminal and contacts businesses, including Foss Maritime, to identify potential temporary interim uses. May: Port staff and Foss discuss using Terminal 5 to receive and handle logistics for modules for a liquid gas plant that would be transported by barge to Canada for assembly into a final plant. June: Foss introduces the idea of using T5 as a mooring station for Shell oil rigs. July: Eagle Marine Services and Westwood Shipping Lines T5 leases terminated. August: Eagle Marine moves to Terminal 18 and Westwood moves to Tacoma, leaving Terminal 5 empty. Fourth Quarter: Foss, Shell, the Coast Guard, Port of Seattle and Puget Sound Pilots watch a simulation of the arrival of the oil rig in Elliott Bay to assess the bay’s traffic safety and select the best mooring locations. December: Port staff and commissioners receive multiple emails from the maritime community supporting Shell lease. 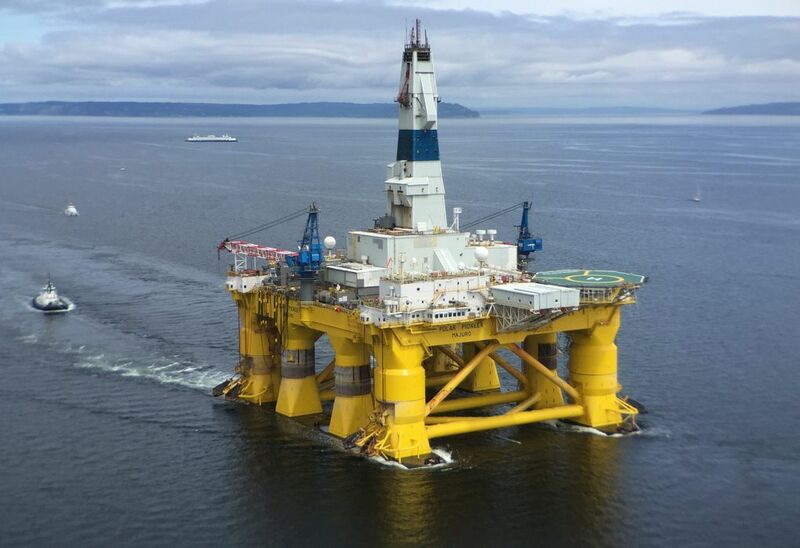 Jan. 13: First public meeting regarding Foss lease to service Shell Oil’s Arctic drilling fleet. Feb. 9: Port CEO Ted Fick signs Foss lease. March 9: City of Seattle begins investigating whether it could delay or block the Port’s plan. April 17: Polar Pioneer arrives in Port Angeles. May 4: Seattle Mayor Ed Murray announces the Port needs a new land-use permit to host Shell’s fleet at T5. May 12: Port commissioners authorize an appeal of the city’s interpretation. Noble Discoverer arrives in Everett. 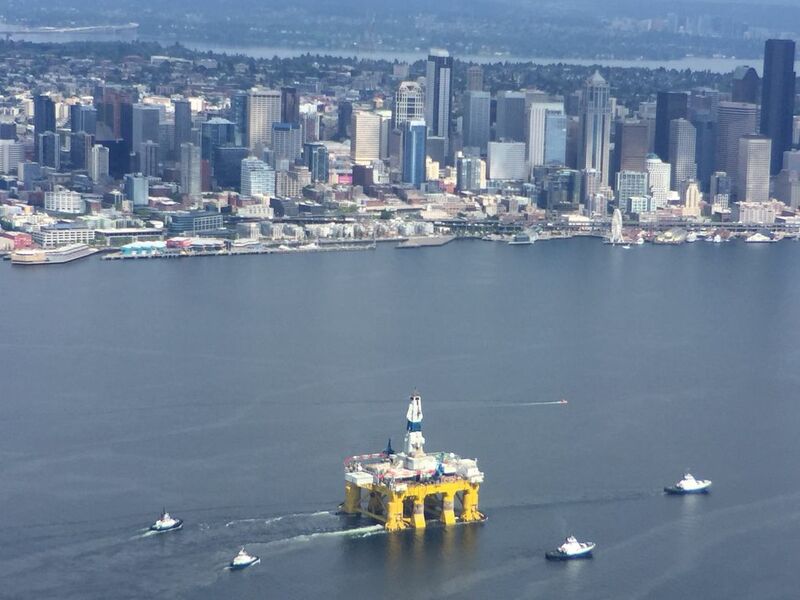 May 14: Polar Pioneer arrives in Seattle. 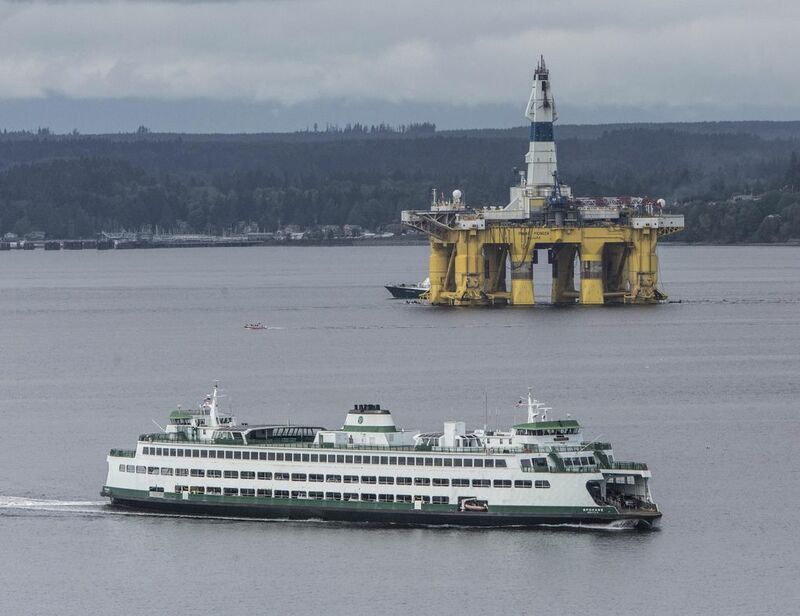 Shell is moving into Terminal 5 despite a request Tuesday by the Port Commission that the 307-foot-tall Polar Pioneer and other vessels stay away while the Port challenges a city ruling aimed at keeping the rigs out. Martin Adams, 66, of Vashon Island, was part of the protest. He and other activists expect a much larger turnout Saturday, when a flotilla rally is scheduled. Another big event is planned for Monday near Terminal 5. The Polar Pioneer left Port Angeles about 1:45 a.m. Thursday, surrounded by tugboats and Coast Guard vessels, and was docked at the Port’s Terminal 5 by about 4:30 p.m.
“The tow from Port Angeles went as planned, and the Polar Pioneer is safely moored,” said Paul Queary, a spokesman for Foss Maritime, the Seattle-based contractor leasing Terminal 5 to work with Shell. Law-enforcement officers were on the water and overhead to enforce a 500-yard safety zone while the Polar Pioneer was in motion. Coast Guard officials warned the activists beforehand that any disruption of safe navigation could result in arrests. But the authorities allowed the activists relatively close to the rig when it briefly stopped, and there were no disturbances of note during the afternoon demonstration. “Really the focus of our interaction on the water today was educational and informing people where that invisible line is,” Coast Guard spokesman Lt. Dana Warr said. The several dozen activists began gathering in Seacrest Park on the West Seattle waterfront before launching their kayaks and a handful of small boats. Many of the kayakers rented vessels and received training at Alki Kayak Tours next to the park. 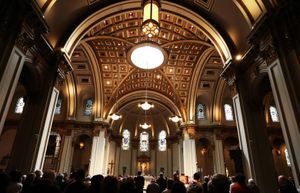 Terminal 5 became the center of a political standoff this month when Mayor Ed Murray said the Port would need to apply for a new permit to host Shell. The Port is leasing Terminal 5 to Foss under a two-year, $13 million agreement. Foss plans to load drilling equipment and supplies for the summer onto the Polar Pioneer and the Noble Discoverer, a 514-foot-long drill ship now docked in Everett. President Obama weighed in Thursday on Shell’s offshore Arctic aspirations, saying experts have concluded that the corporation has developed strong safeguards. Obama said his administration stalled Shell’s application for exploratory drilling in the Chukchi Sea until it received necessary assurances. The U.S. Bureau of Ocean Energy and Management approved the application Monday after reviewing thousands of comments from the public, Native organizations, and state and federal agencies. The president said he is committed to reducing carbon emissions but said consumers will still need fossil fuels as they transition to other energy sources. He said he would rather rely on oil and gas extracted in the United States than abroad. Jeff Raley, 49, of Onalaska, Lewis County, watched from Seacrest Park as the Polar Pioneer arrived because he wanted to show support for oil-industry jobs. “If these (activists) choose to put me and guys like me out of work for an idea, what are they trying to do?” asked Raley, saying he recently lost his job in the industry. Raley called the rig “a beautiful thing,” but Kathy Washienko shared the opposite view after paddling past the enormous piece of machinery. 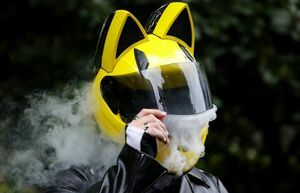 “Today was a good show of people power,” said Washienko, 46, a mother and self-described climate activist who lives in Seattle’s Laurelhurst neighborhood.